Take business requirements and turn them into features Application Team App1 Messaging Build common services for App Teams Platform Team App Platform ML ? App2 Creds/Certs App3 Middleware ELK Container Services DBaaS Container Hosts | Kubernetes ? Infrastructure Team Abstract infrastructure complexity with easy consumption IaaS Infra Services Virtual Infrastructure Physical Infrastructure ? 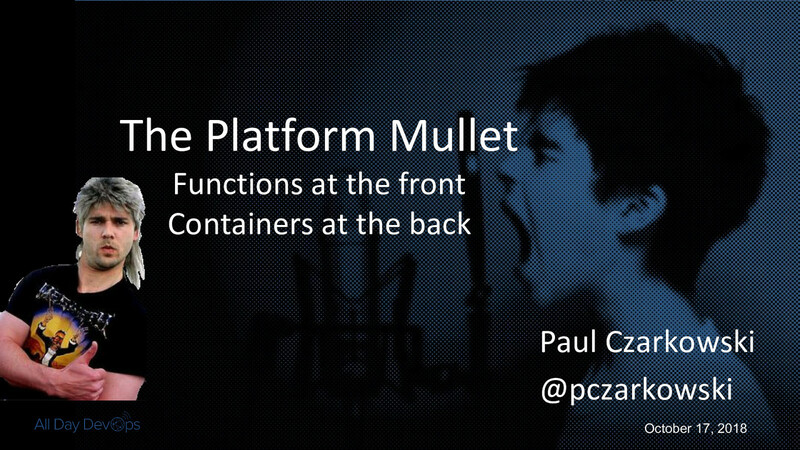 View The Cloud Foundry Mullet - Functions at the Front, Containers at the Back on Notist.